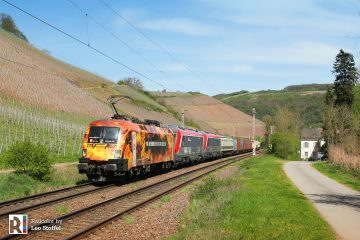 The first car body for a Stadler KISS train for MÁV Start has arrived in Hungary. MÁV-Start will begin deployment of its first KISS EMUs at the end of next year. The first car body of a KISS EMUs for MÁV-START has been delivered to the Dunakeszi workshops in Hungary. 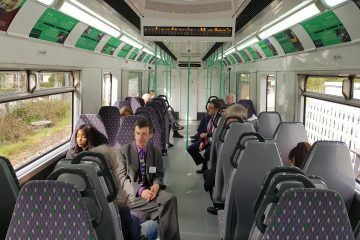 This is where the assembly will take place for the vehicles, following an agreement between Stadler Rail and Dunakeszi Járműjavító. 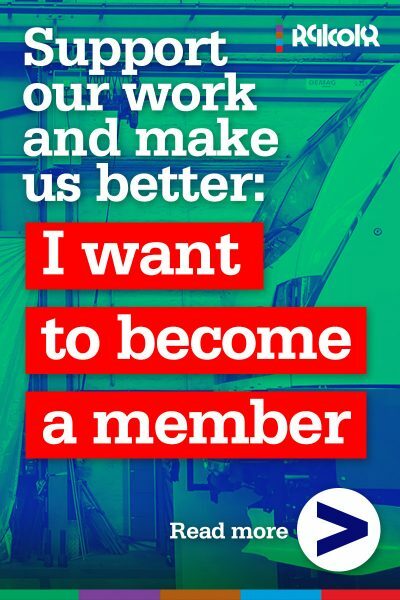 Local production is important in the project. 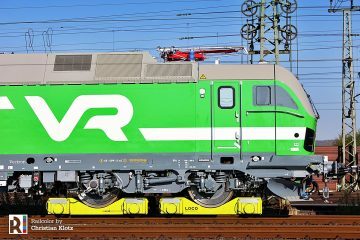 For example, also Stadler’s competence center for bogies in Szolnok (HU) will be responsible for the delivery of the bogies. 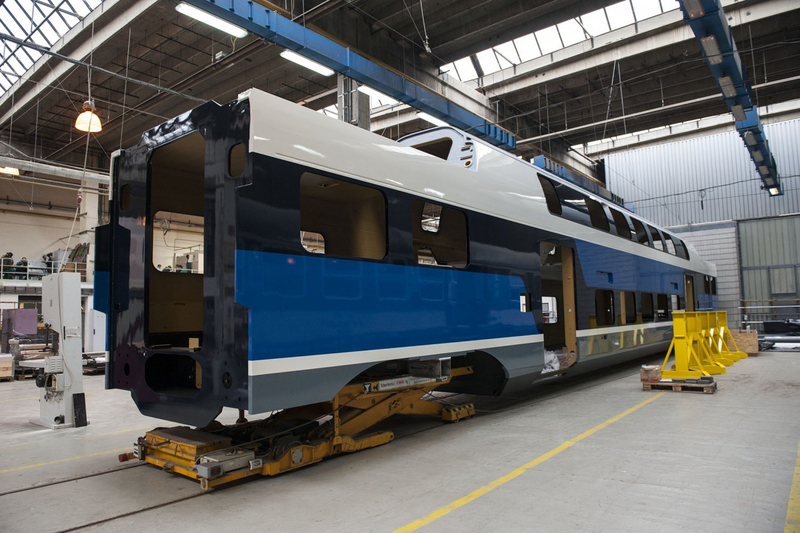 The first body shells are being produced in Stadler’s production facility in Minsk, Belarus. 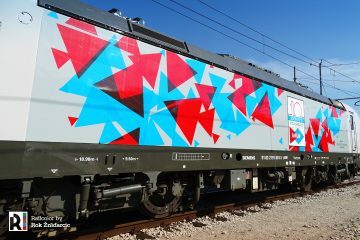 It is expected that as of 2019-2020, the first 11 EMUs will be deployed on the Budapest-Vác-Szob and Budapest-Cegléd-Szolnok suburban lines. 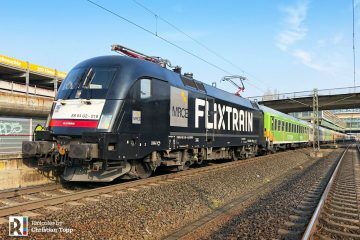 Those trainsets represent the first call-off from the frame contract between MÁV-START and Stadler, under which up to 40 6-car double-deck units can be ordered. 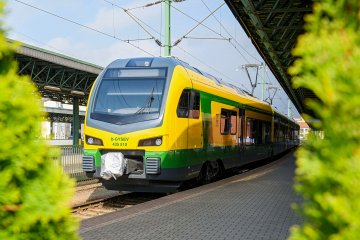 This summer Hungarian media reported that a second call-off order had been placed for a further 8 units for the Szabadbattyán – Balatonfüred railway line in the Western part of the country. 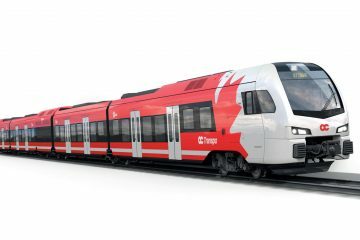 The acquisition of the new high capacity vehicles represents a new mile stone for MÁV-START, as the KISS trains will be the first double-deck EMUs in the country. 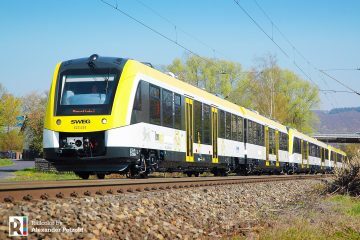 Operational compatibility with the existing Stadler FLIRT EMUs ensures extra flexibility for the state operator.